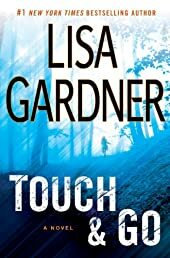 #1 New York Times bestseller Lisa Gardner, author of Catch Me and Love You More, returns with a heart-thumping thriller about what lurks behind the facade of a perfect family. This is my family: Vanished without a trace. . . .
Justin and Libby Denbe have the kind of life you’d find in the pages of a glossy magazine. A beautiful fifteen-year-old daughter. A gorgeous brownstone on a tree-lined street in Boston’s Back Bay neighborhood. A great marriage, admired by all. A perfect life. This is what I know: Pain has a flavor. . . . When investigator Tessa Leone arrives at the crime scene in the foyer of the Denbes’ home, she finds scuff marks on the floor and a million tiny pieces of bright green Taser confetti. The family appears to have been abducted, with only a pile of their cell phones and electronic devices remaining. No witnesses, no ransom demands, no motive. Just a perfect little family, gone. This is what I fear: The worst is yet to come. . . .
Tessa knows better than anyone that flawless fronts can hide the darkest secrets. Now she must race against the clock to uncover the Denbes’ innermost dealings, a complex tangle of friendships and betrayal, big business and small sacrifices. Who would want to kidnap such a perfect little family? And how far would such a person be willing to go? This is the truth: Love, safety, family . . . it’s all touch and go.